Based in Canberra, Australia, Richard has been working in the IT industry for over 30 years, 20 plus years with Oracle database technologies. Richard has supported and diagnosed the performance of numerous highly secure, mission-critical, large-scale applications. 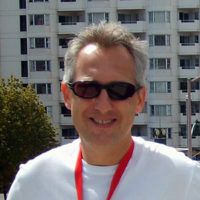 In 2002, he became a member of the world-renowned Oracle OakTable Network and an Oracle ACE Director in 2008. Richard is a very popular speaker and regularly presents at conferences including Oracle OpenWorld, IOUG Collaborate, Hotsos Symposium, AUSOUG InSync, ODTUG Kscope, UKOUG Conference, E4 Enkitec Extreme Exadata Expo and Trivadis Performance Days. He is especially renowned for his research and knowledge of Oracle indexing structures, hosts an internationally acclaimed blog on Oracle Indexing and has developed in-depth seminars on Oracle Indexing Internals which he has presented in some 20 countries. In 2017 Richard started his own independent consulting and training business (www.richardfooteconsulting.com) and is planning on delivering his Oracle Index Internals training as a webinar in March 2019. Oracle Database 12.2 and 18.3 releases have introduced a number of extremely useful new indexing features and enhancements. These include cool capabilities such as automatically tracking index usage, advanced index compression enhancements, deferred invalidation of cursors during index creation/rebuild, automatic index maintenance during new online operations (such as online table moves and conversion to partitioned objects), JSON indexing enhancements, Memoptimized Rowstore and Scalable Sequences. There might even be an Oracle Database 19c surprise. These will all be discussed in detail with practical examples on how they can be usefully deployed to improve overall database performance.